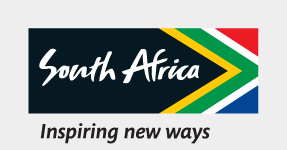 OOur award-winning national carrier, South African Airways is one of 70 international airlines that fly into South Africa. South African Airways flies to destinations all over the world and is connected to major international air routes, making it easier for you to enter the country from pretty much any corner of the world. It’s quite a lengthy flight from Europe (10 to 12 hours), Asia (12 to 17 hours) and the United States (up to 15 hours or even more). You’ll most likely fly directly into O.R. Tambo International Airport in Johannesburg, or increasingly, there are direct flights into Cape Town International Airport. Durban’s King Shaka International Airport is South Africa’s third major international airport, located about 35km north of Durban. So don’t rule this paradise on the sea out of your direct travel plans. Apart from the world-class international airports, there are a number of domestic airports including Bram Fischer International Airport in Bloemfontein, as well as airports in East London, George, Kimberley, Port Elizabeth and Upington. It doesn’t stop there. You’ll even find scheduled flights between Johannesburg and privately-owned airports that allow you to access rather more isolated locations such as the Kruger National Park by flight. One particular airport is the Kruger Mpumalanga International Airport outside Mbombela (Nelspruit), which serves the Kruger National Park and Mpumalanga. If that’s not enough, several upmarket game lodges operate their own airstrips and charter direct flights from O.R. Tambo and other airports. If you’re intending on going on a safari with your family or friends then you should consider making a pitstop in Johannesburg or Cape Town to catch your breath. Take this opportunity to change your time zone to the new one, get a feel of the country, or go sightseeing before flying to your next destination.